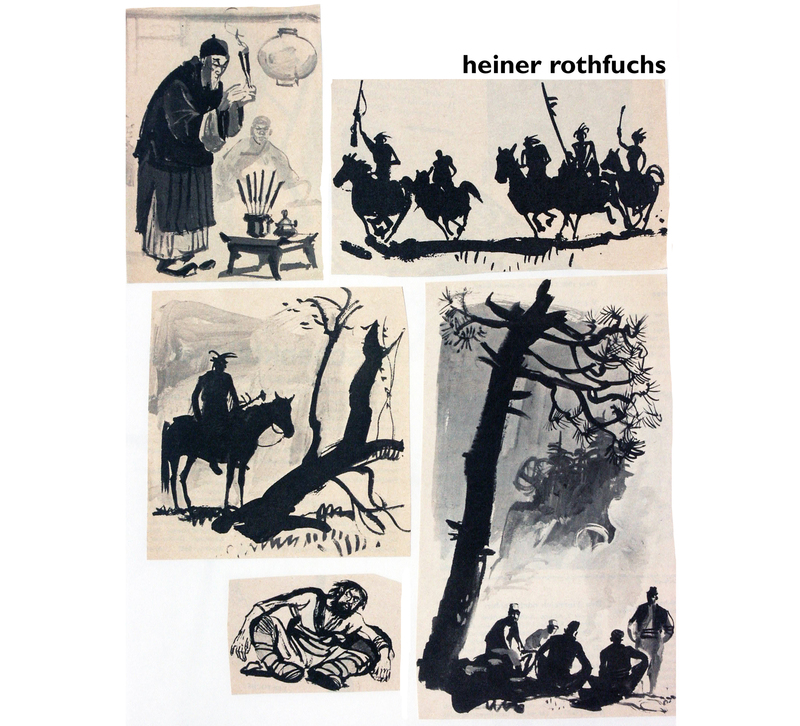 through the fifties and sixties HEINER ROTHFUCHS, 1913 – 2000, worked as an illustrator for many publishing houses in germany ( FISCHER, BERTELSMANN, KLETT and BROCKHAUS, to name a few ). he had learned house-painter and taught himself nature- and animal-drawing. from 1936 on he illustrated for youth-magazines and books. after WW2 he started teaching illustration with an emphasis on ‘scientific illustration and graphics’. all his life he was interested in the sciences of nature, ethnology and archeology and explored northern afrika on his travels. 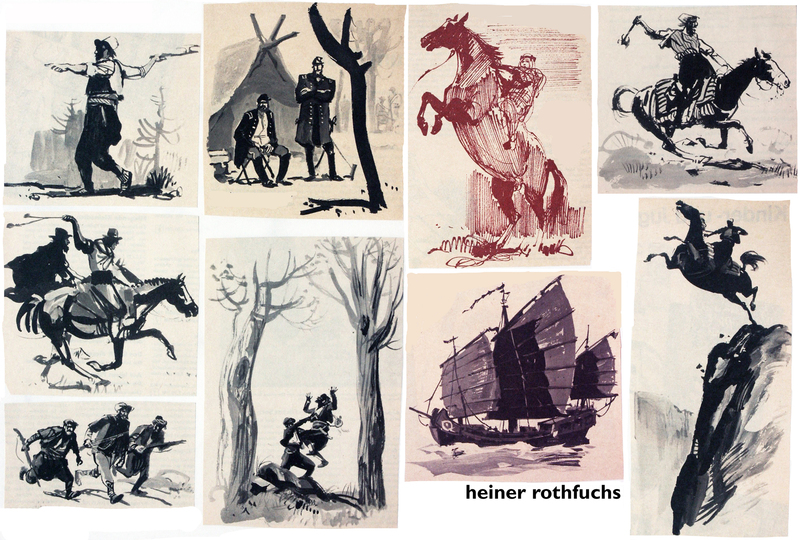 following a small selection of his illustration for the german KARL MAY book-series. You know, I´m from Argentina, and some of the characters from this illustrations looks like “Gauchos” (The argentinian “Cowboy”). Except that the “Gauchos” do not use axes. Here you can see some illustrations about “Gauchos”. These are fantastic! Never heard of the artist before, thank you for this post.